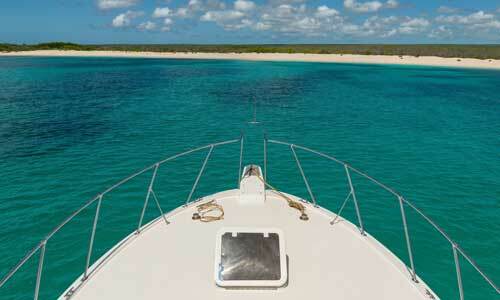 Reina Silvia has 6 large cabins, all with large portholes or windows, TV and DVD player. 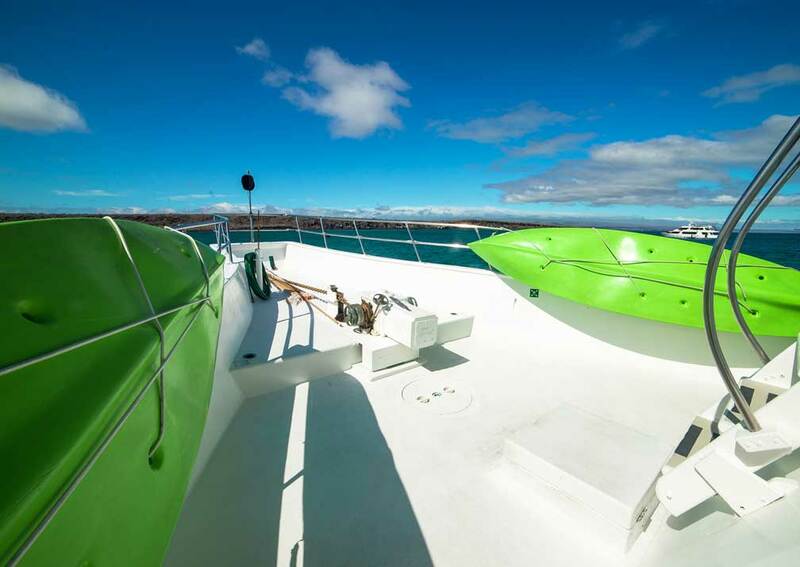 Indoor and deck areas are impressively spacious and she carries kayaks free for passengers to use. 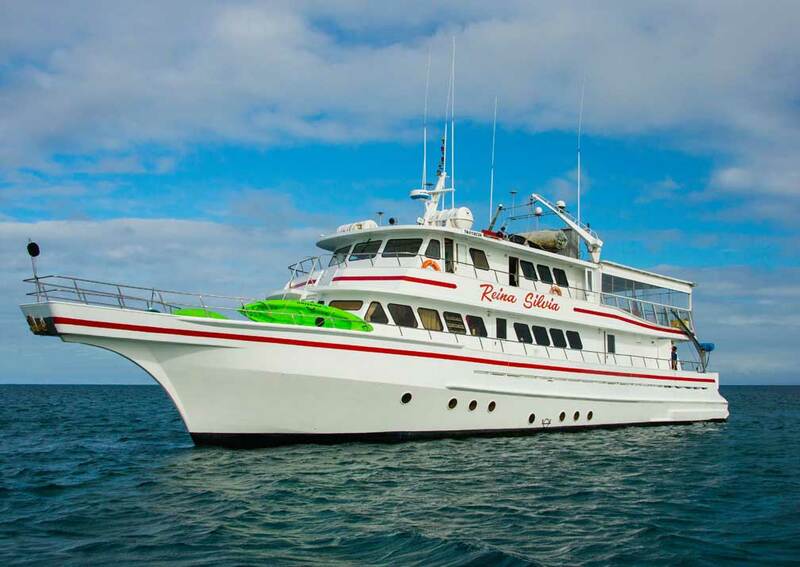 Reina Silvia underwent an extensive refit in 2010, updating all her accommodation. 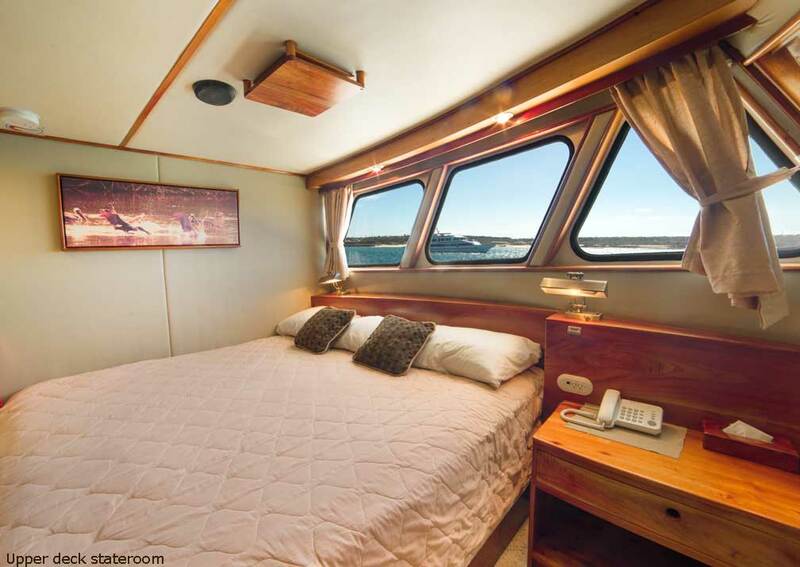 She has 6 large cabins, all with large portholes or windows, TV and DVD player. 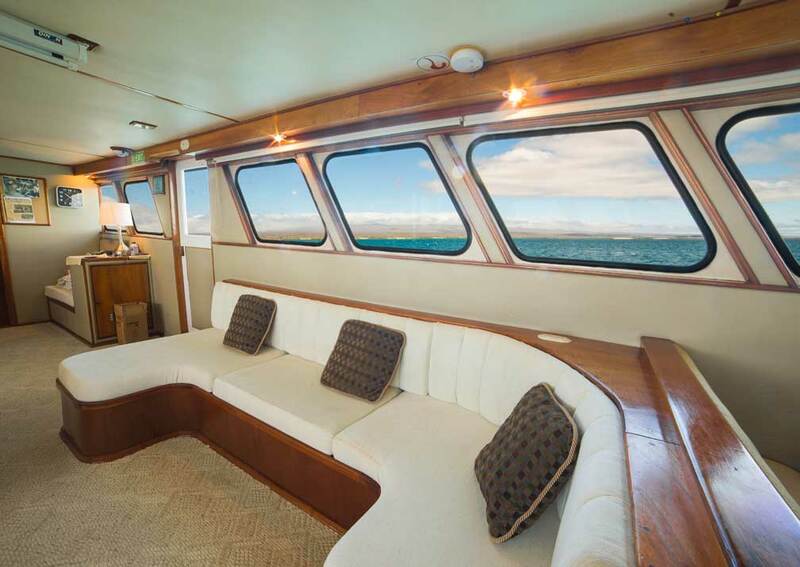 Indoor and deck areas are impressively spacious and she carries kayaks free for passengers to use. 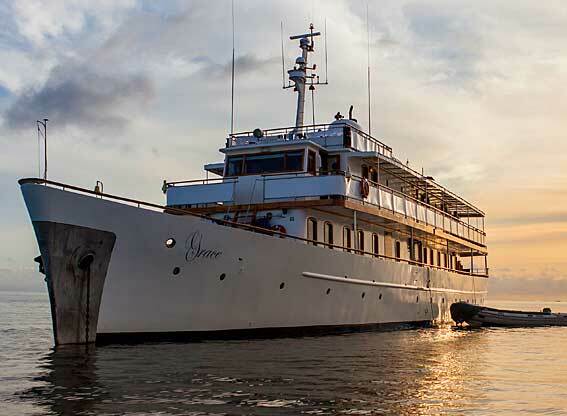 Reina Silvia, named after the queen of Sweden, is an American-built motor yacht with just 6 large cabins providing high quality accommodation. 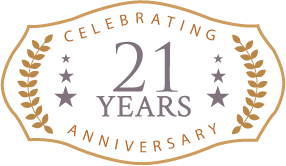 Each has an en-suite bathroom with a vanity unit, flush toilet, shower cubicle and hairdryer. 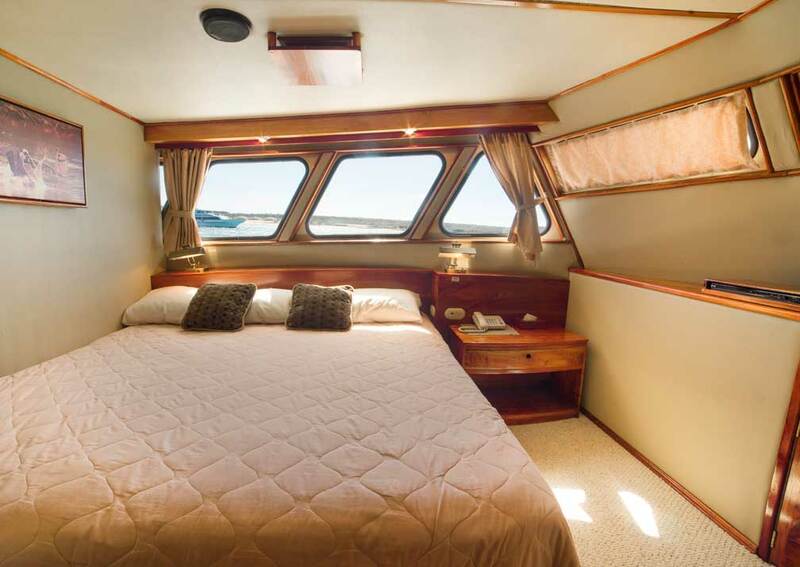 The main cabin features individually controlled are conditioning, telephone, TV and DVD player. 4 of the cabins are on the lower deck with port holes, and 1 each on the main and top deck with full size windows. The top deck cabin is the largest and has a writing desk and minibar. 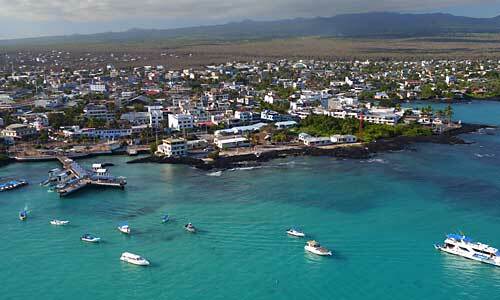 All have photos of the islands decorating the walls. 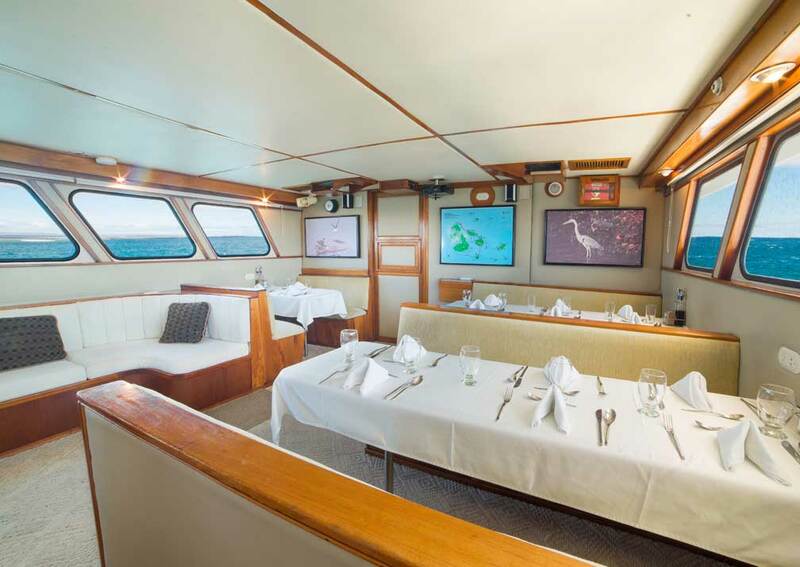 The main deck houses the generous dining room, bar and lounge. 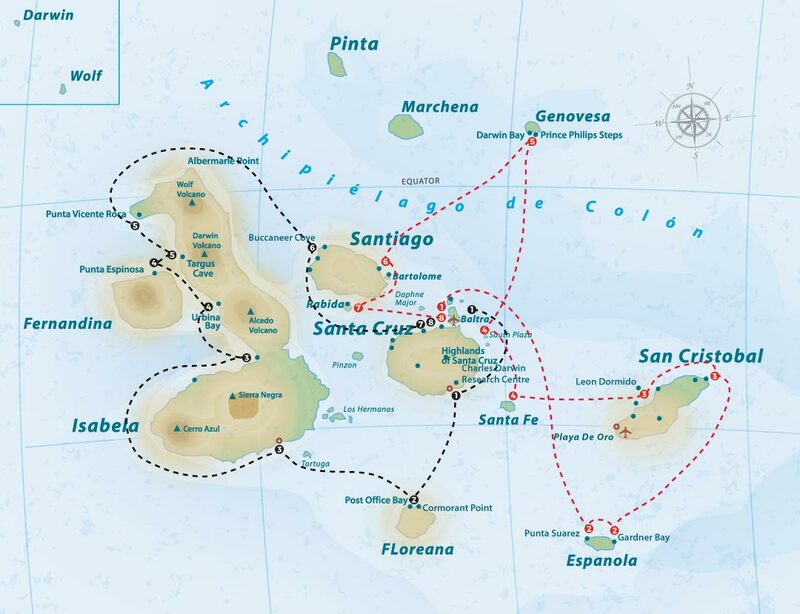 This last has a projector and large screen used for presentations by the naturalist guide, and there is a library of natural history books and films for you to view between excursions. 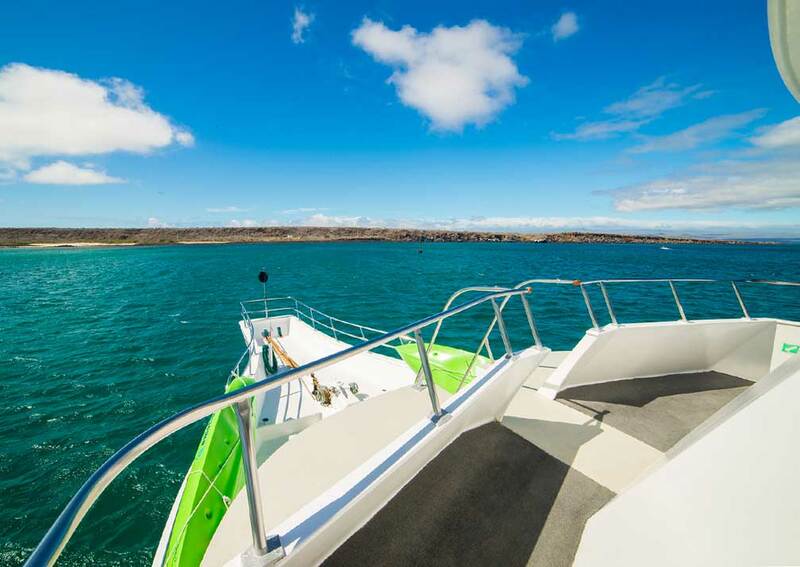 Standing at the bow is the ideal place to observe the scenery and maybe spot some dolphins and whales, while to the rear there’s a swimming platform. You can use the boat’s kayaks for further exploring. 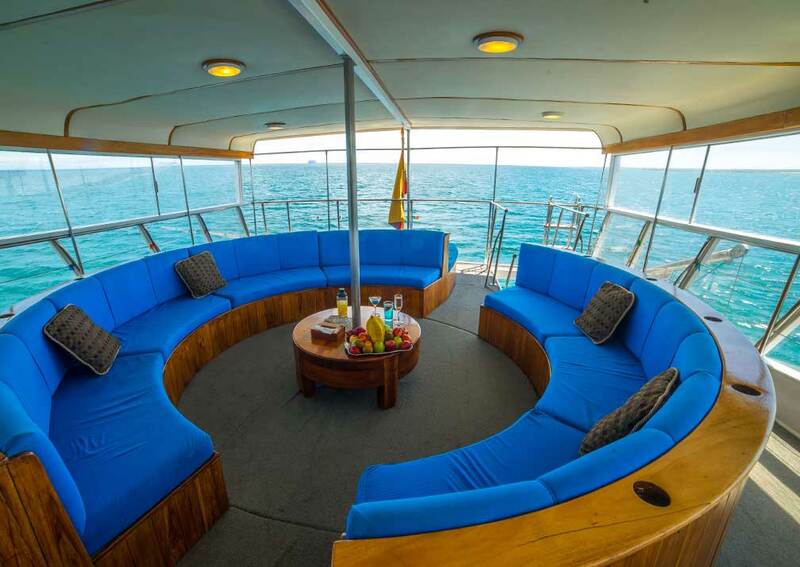 The top deck has a large enclosed seating area with a large circular sofa and a bar. Sliding picture windows allow the refreshing ocean breeze to blow through. 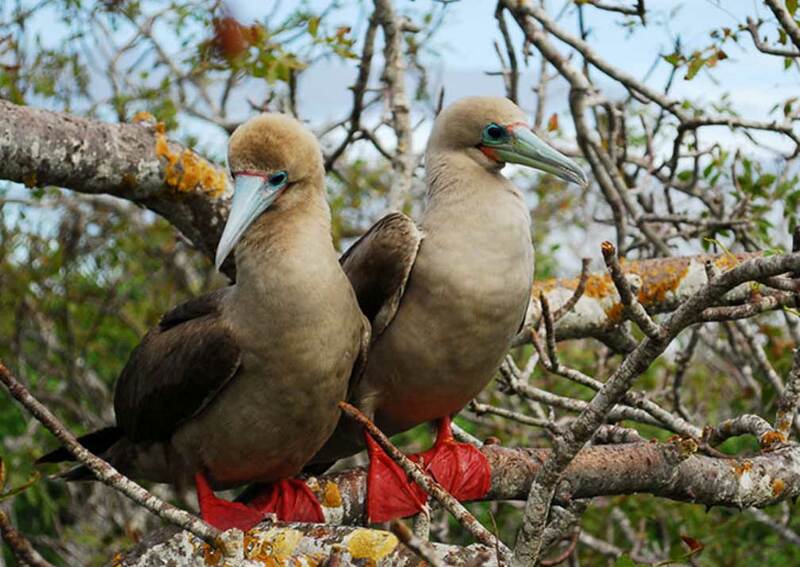 This is a great place to sit and chat to other passengers, and sip sundowners without missing the fine Galapagos vistas. 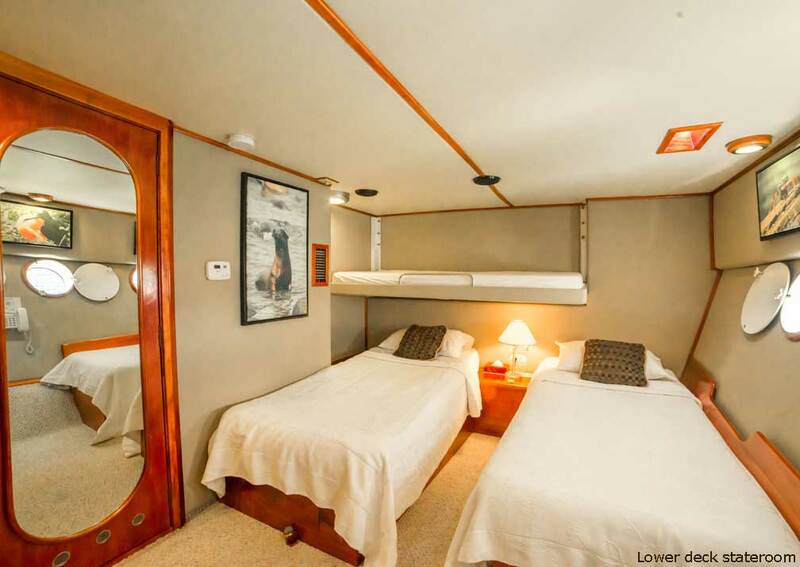 There is 1 stateroom (no.1) on the upper deck, with 2 twin beds than can be combined to form a king size bed. It has a TV and DVD player, storage space, air conditioning and a window. 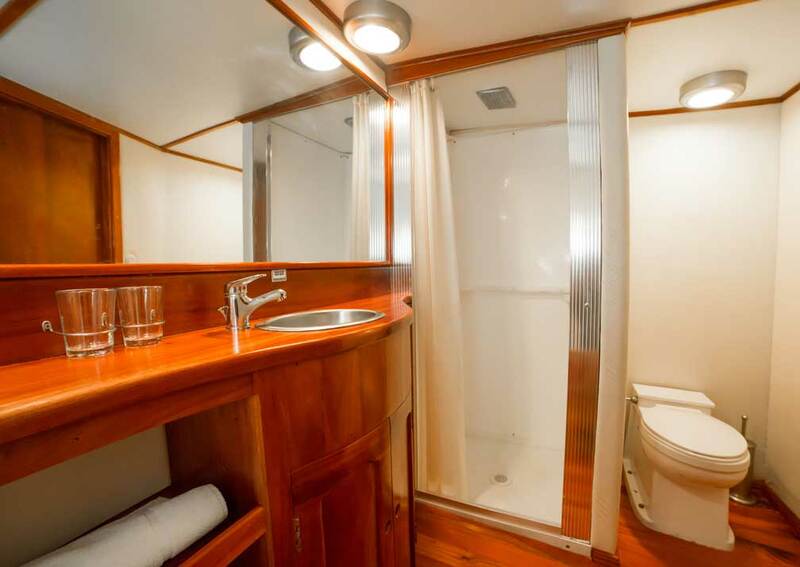 The large bathroom has a full size shower, basin and toilet. 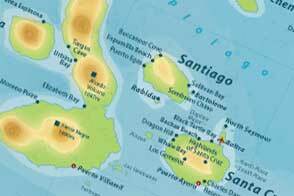 There is 1 stateroom (no. 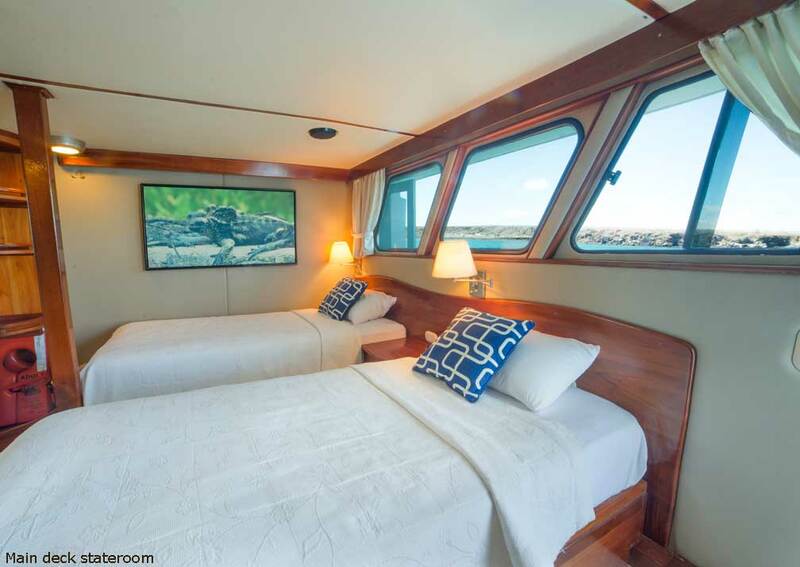 2) on the main deck, with 2 twin beds that can be made into a king size bed. The cabin has a window, storage space, TV, DVD player and large en-suite shower room. It is air conditioned. 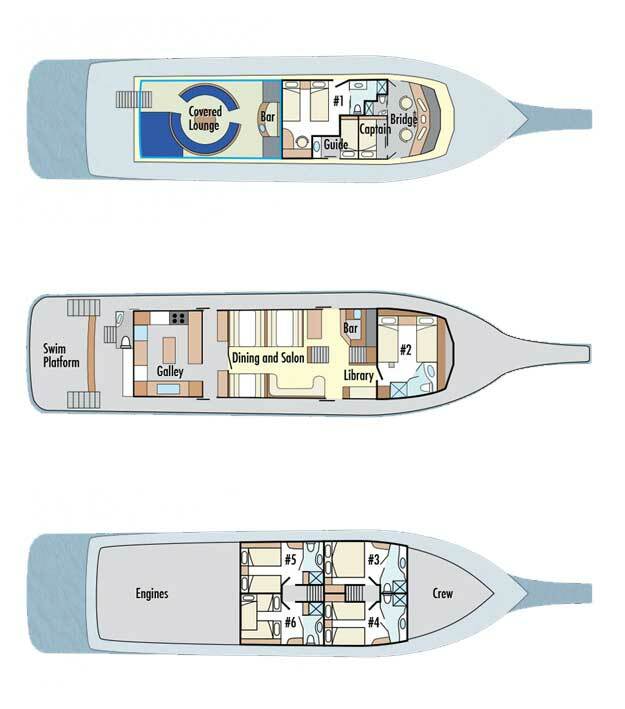 There are 4 staterooms (no.s 3 – 6) on the lower deck. Each has 2 twin beds that can be formed into a king size bed, plus a pull out single upper berth for a 3rd passenger if needed. These staterooms have storage space, a TV and DVD player, air conditioning and large en-suite shower room with full size shower. No.s 1 and 2 have large portholes and 3 and 4 have windows. Accommodation: 6 cabins which can be configured as twins or doubles, 4 of which can be used a triples. All are en-suite and air conditioned. They have TVs and DVD players. 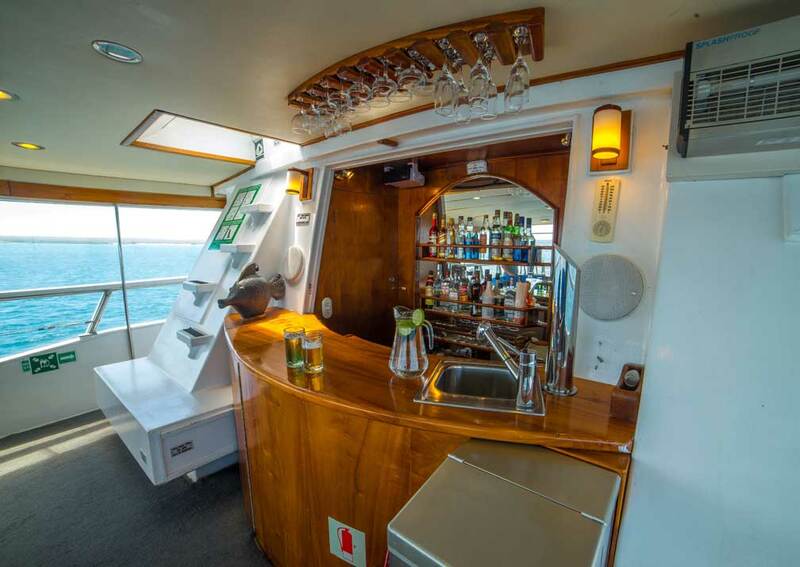 On Board: Dining room, lounge and bar. Top deck lounge. 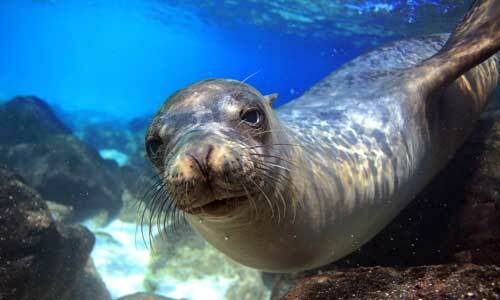 She carries snorkelling gear and kayaks, free for passenger use. Accommodation: 9 cabins in total, of which 5 are on the main deck, 1 double of 19sqm and 4 that can be configured as twins or doubles. These last 4 have balconies and cover 20sqm. The remaining 4 cabins are on the upper deck. Each is 16sqm, and can be made up as a twin or double, and has a balcony. 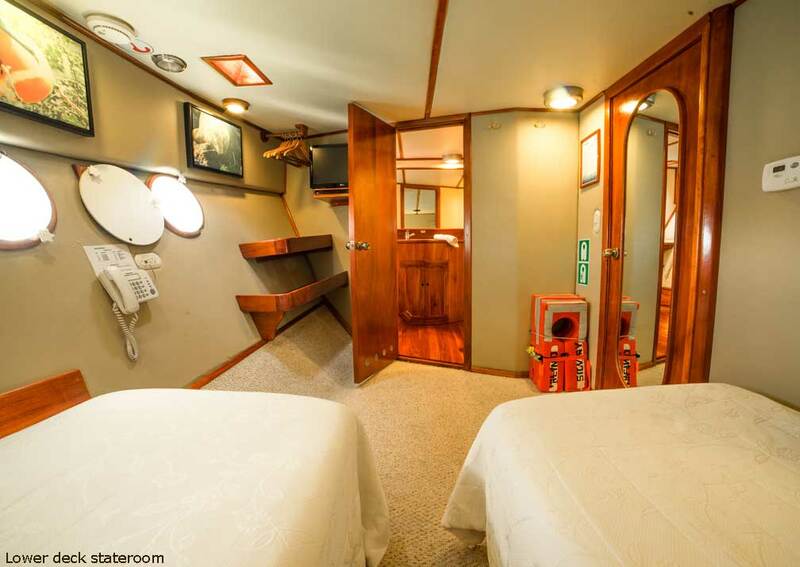 All cabins are air conditioned, have a wardrobe and bedside table, safe, hairdryer, phone for on board communication, and an en-suite shower room. Quoted cabin areas include balconies. 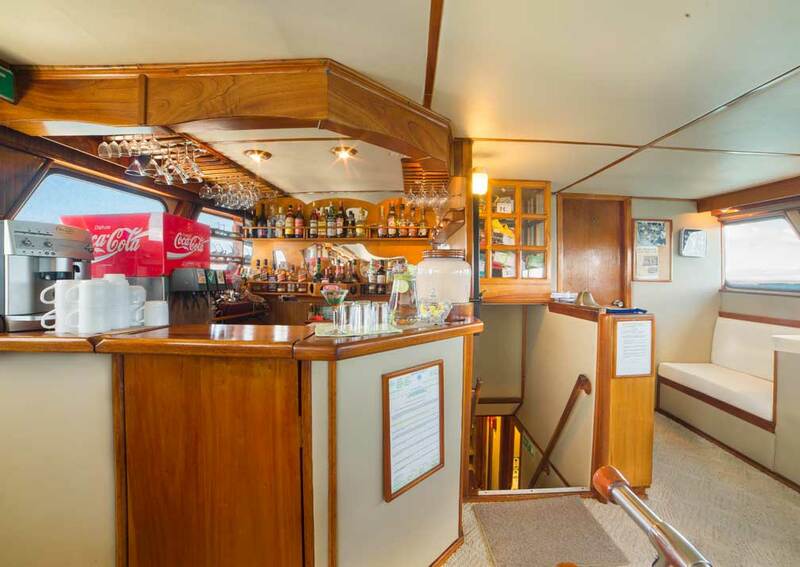 On Board: On the main deck there is a lounge with a large corner sofa, TV and selection of reference books and DVDs, a dining area, and an air open sitting area to the rear. There is a bar on the upper deck. The sundeck has a large open area with a jacuzzi set into a raised part of the deck, and room for several sun loungers, and a bar. 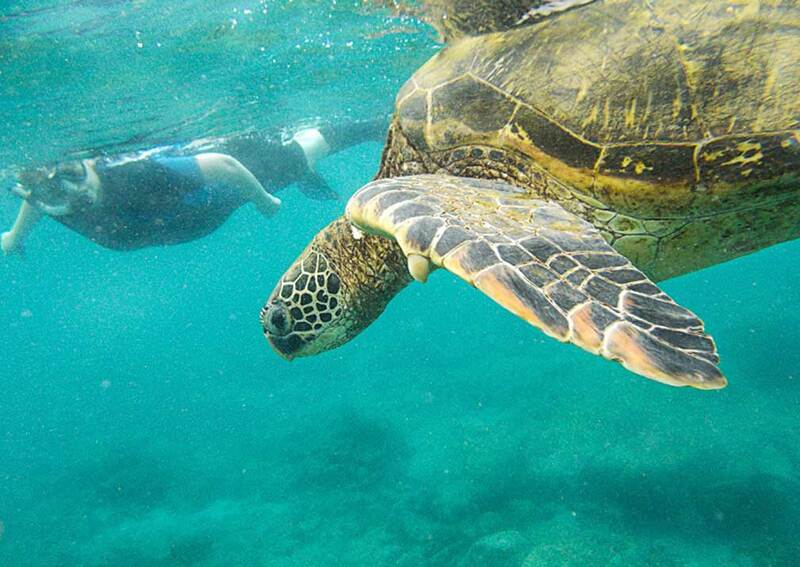 Alya carries snorkelling equipment, wetsuits, kayaks and an underwater camera for passenger use.